We recently announced the first grants from our Celebrate programme of £84,718 to 21 groups across Northern Ireland. One of the groups, Newington Day Centre, are planning a special event to celebrate the contribution the community makes to the centre next spring. 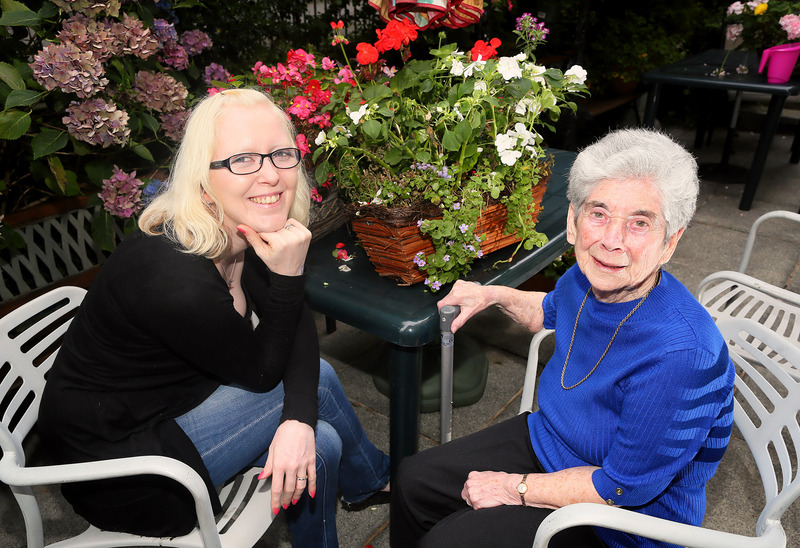 Pictured are Jolene McAllister, a volunteer at Newington Day Centre with Maisie Liddy, Newington Day Centre member. Margaret McCrudden, centre manager, said: “Last year, our volunteers gave approximately 6,000 hours to the centre. They make such a difference because they are the people who can give the one-to-one time to sit with someone to support them in activities or to befriend someone while the staff are doing the more practical things. Members and volunteers have also spoken about how the centre has changed their lives for the better. Cecilia Begley (83) has been involved with the centre for more than 20 years. She was a carer to her mother and her husband when she joined the centre’s carers’ group. She began volunteering following the death of mother, and then four years later, her husband. “I was 61 and full of energy because I’d worked all my life. I just wanted something to do. I would have been climbing the walls myself, being as active as I was,” she said. 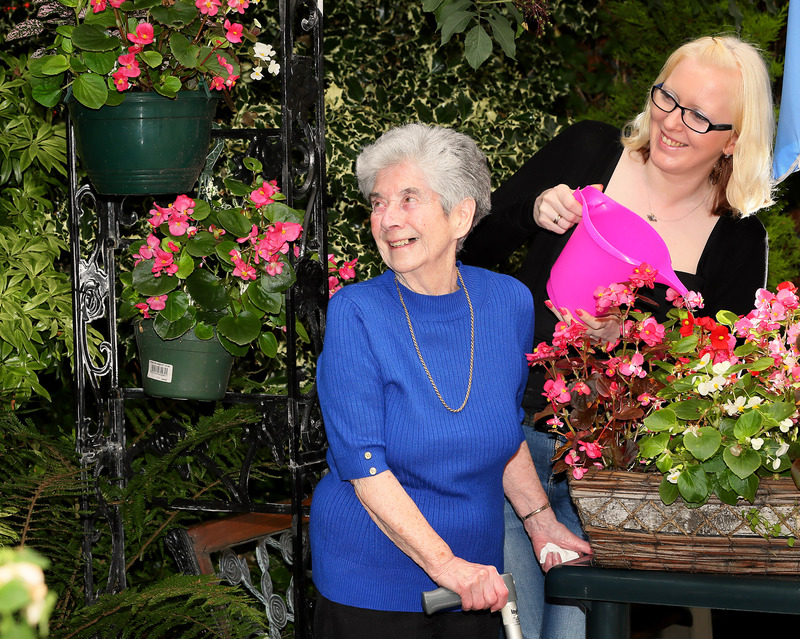 Centre member Maisie Liddy (87) has been coming to the centre twice a week for the past year. Until four years ago, she and her husband, Jimmy, were very active in their community. They each owned a shop in north Belfast and were also involved in fundraising for local charities. However, Jimmy passed away suddenly and Maisie became seriously ill shortly afterwards. It was when she was in a respite care her that she agreed to her doctor’s suggestion that she try day care. Jolene McAllister (34) has been volunteering at the centre for a year. She previously worked in the mental health field, and has not been in paid employment since having her daughter four years ago. Jolene has now gained NVQ stages I and II in Health and Social Care through her volunteering role. “It’s kept my training up to date for the paid work that I hope to get back into now that my daughter’s at school,” she said. “I would be quite isolated if I didn’t have here because I don’t work and because I’m a single parent. This centre is invaluable to me, giving me experience and giving me something that I enjoy doing,” she said. Find out more about Celebrate here. Organisations should submit their applications as soon as possible to avoid disappointment. Applications are assessed on a first come first served basis until all funds are awarded.